Noteworthy – create, support, and deliver stories that matter. You tell us what you want to see investigated. We use those ideas to create proposals and figure out how best to tell these stories. We come back and look for community support in funding these projects. Investigative journalism can be time-consuming and expensive, and some stories can only be told properly with investment of time and money. In an era where all media face unprecedented funding challenges, this type of reporting can be difficult to deliver. We want to create a new platform for supporting important journalism, one where reporters and members of the public can team up to deliver the stories that matter. It can be something that affects you personally, or just some burning question that you've always wanted an answer for. We want to help you understand how Ireland works, and why it sometimes doesn't work. Noteworthy is a project by TheJournal.ie, Ireland's leading online news source. It is being supported by Google's Digital News Innovation Fund. You can find out a little bit more about that here. My story is sensitive and I want to contact you directly? We take your privacy seriously and understand that you may not be comfortable submitting every idea through our website. You can contact us directly at [email protected]. If you want to send documents to us anonymously, our postal address is Noteworthy, Journal Media, 4th Floor, Latin Hall, 8 Golden Lane, Dublin 2. If there is a large amount of material, you can send us a USB key. Make sure to at least password protect but preferably encrypt it and send us the login details separately. You can send us information electronically at [email protected]. If sending documents electronically, you may want to set up a one-off email account with a false name specifically for this purpose, then use an internet cafe or public wi-fi network to send the email. For further information on how to protect yourself when sending information to journalists, you might want to read this guide. Some stories need to be done quickly. In cases where it would take too long to work up a proposal and seek public funding, we will work with TheJournal.ie to tell those stories quickly. In some cases, we might also partner with newsrooms - especially regional ones - to publish. Not every story will be suitable for a publicly funded proposal. Sometimes, it will be too difficult to explain why it is important without having the finished story ready. On occasion, it would give too much away to release partial details of the idea and it would be better kept private until publication. At other times, there could be significant legal risks involved with creating a proposal before the research has been completed. In cases like this, Noteworthy will work to tell those stories in partnership with TheJournal.ie or other media organisations. If you would like to support stories like this, you can contribute to our general fund here . This will allow us to resource projects that we feel are important but where we are not yet in position to release detailed information publicly. Why didn't you do the story I suggested? We receive many suggestions each month and it is simply not possible to do them all. In some cases, we have not been provided with enough detail or the idea is too general. In other cases, the ideas do not stand up to further investigation or it has not been feasible to create a workable proposal. It is also important to keep in mind that Ireland has some of the strictest defamation laws in the world. You may have seen stories written in other countries that you would like to see done in Ireland. Sometimes, this is not possible due to our legal system and the exceptional costs involved. There are also certain types of stories that are extremely difficult to do, much as we would like to do them. Detailed statistical information on for example crime in your local neighbourhood may not be available and An Garda Síochána are only subject to Freedom of Information law in a very limited way. The same goes for organisations like the Data Protection Commissioner and NAMA. The Office of the President is entirely exempt from such information access laws. If Noteworthy cannot do your story, there are other options open to you. We would encourage contributors to contact other media outlets, particularly local ones, about issues that you feel are important. What happens if a project does not get funded? We hope that every proposal will get funded but understand this may not always happen. In some cases where we feel the story must be told, we will bridge the funding gap using our own resources. We cannot do this in every case however and for most stories, it will be up to the community to make sure they get done [see next question for further detail]. I contributed to a project that does not seem likely to get fully funded? After a certain period of time, Noteworthy will make a decision on whether to bridge the gap for an under-funded project or to cancel it altogether. If you had contributed to a project that got cancelled, we will ask if you would prefer to transfer your money to a different project or to be refunded. Another option would be to let your contribution move to our general fund here . This allows us to support stories where there are sensitivities around creating a publicly-funded proposal. I funded a project that did not yield anything useful? For a variety of reasons, stories – even when fully funded – do not work out. 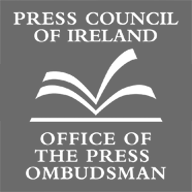 Sometimes, we might have 95 percent of the information we need but that extra piece of the jigsaw we need to satisfy Ireland's strict defamation laws remains out of reach. On other occasions, we will have spent considerable time investigating an idea but some of the underlying assumptions it is based on later prove to be incorrect. We might even investigate issues only to find that what appears somewhat sinister or dubious turns out to be innocent or legitimate. In cases like that, we will keep funders updated on our progress and share with you any useful documentation or findings we have uncovered during our investigations. How do I support Noteworthy's work? To support us, you can fund our individual projects through our proposals page. We are open to all contributions, both big and small. I want my contribution to be anonymous? I'm a freelance journalist – can I suggest an idea? We are open to partnering with freelance journalists on interesting projects that cannot be funded through your normal working patterns. These would be cases where a story might require a longer amount of time, or the use of resources that you do not have at your disposal. This would not be suitable for routine day-to-day stories. You can submit your idea directly through our website or contact us and we will see if we can create a workable proposal. We would then open it up for funding, and if we reach our target – we can work with you and your organisation, or directly commission you to do the story. We are a media organisation – can we work together on a project? Sometimes, there are stories that media organisations – particularly regional titles – might like to do, but simply cannot spare the time or resources. We understand this and believe Noteworthy could be a way for your organisation to tell stories that have not been possible up until now. We are an international media organisation and would like to use the Noteworthy model? Noteworthy was created to build a new model for connecting communities and newsrooms to tell the type of stories that can fall between the cracks. We want to see this idea spread worldwide as an alternative way by which important investigative journalism projects can get funded. Please contact us at [email protected] for further details.